How to Apply Hair Extensions for First Timers - Be Glossy In and Out! Hair extensions are a great way to improve your appearance. They can be used when you can’t grow your hair to become as long as you want it to be, or they can be used when you simply don’t want your hair to grow because it requires much more attention. Many women who want long hair use hair extensions because they don’t requires as much care as normal long hair, and on top of that they are very durable and resistant. 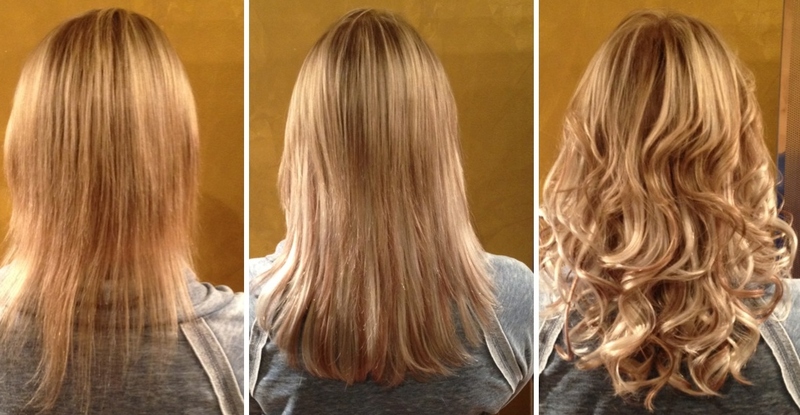 Hair extensions can be worn for long periods of time without having to change them. If you have not worn some hair extension before and want to give it a try but don’t know how to apply it, here you can read some tips to help you out. The first thing to make sure before applying is that you choose the most suitable hair extension for you. 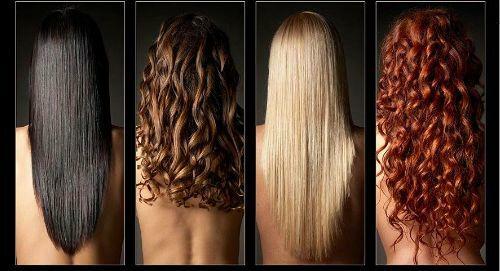 Consider what colour and length you want, but most importantly consider whether you want it to be synthetic or human. Synthetichair extensions are made from a keratin and plastic mix and they do a good job of mimicking the appearance of normal human hair, but often lack some of the texture that normal hair has. On the other hand, human hair extensions come in many grades and they are simply great, but they are much more expensive than synthetic ones. For most first timers it is recommendable to first try synthetic and after they have had some experience, consider going to human ones. First you need to purchase some wefts of hair. A weft is a single row of hair that can be clipped between your own layers of hair. It is available in both synthetic and human forms, with the price tag being the main difference. Make sure that you match your hair colour as closely as possible and that you have found the perfect length that you want. Once you are done proceed by dividing your hair into sections. When you are done, the next thing to do is tease it using a comb. You want your hair to gain as much as ½ to a full inch in volume at the base of the strands. When you are done, take one of the wefts that you have purchased and clip it to your hair at its roots. You should be able to easily dig into the teased hair and stick it. Make sure that you space the extensions evenly. If you dislike something about the hair extensions, keep in mind that you can freely cut or trim them to make them more suitable to your desires. Repeat this process for each of the wefts until your hair extensions have all been applied. Once you are done, make sure that you brush your hair. If you can still see some of the clips, rearrange them. Make sure that the clips cannot be seen even when you put your hair in a ponytail. When applying fusion extenders, you first need to clarify your hair. Use a shampoo as they can be found on the market easily. Dry your hair completely and make a divider for your hair. Start sectioning your hair, beginning at the base and then proceed to put strands of hair into your cardstock divider. Attach a piece of the hair extension to your divided hair by making sure that it is lined up properly with the roots of your hair. Then use a flat iron to fuse the extension with your hair. Roll the fused strands into your hair using your hands and then remove the hair divider. The same process is then done over again for each piece of hair extension that you have bought. When you are done, make sure to style your hair the way you want it to be. There you have two of the most commons ways for applying hair extensions, namely with clip-in and fusion. If you are a first timer make sure that you prepare well before beginning the procedure because if you do something wrong, you might have to start all over again. Δεν έχω χρησιμοποιήσει ποτέ αλλά είναι εντυπωσιακή η διαφορά του πριν και του μετά!